ANNUAL EDUCATION CONFERENCE - GMGMA holds an annual Spring conference which provides great opportunities for education and networking and helps members find resources and solutions for the challenges they face. ANNUAL FALL CONFERENCE - GMGMA holds a Fall Forum. The topics are dedicated to the current legal issues that affect the medical practice and more! WEB SITE - GMGMA maintains a website for easy access to industry and association information and activities. LISTSERV- NETWORKING- The GMGMA listserv is a great resource tool that allows members to ask each other questions and also to discuss the many different challenges and frustrations they face daily as a practice manager. REPRESENTATION- The membership is represented at all of the Medical Association of Georgia Advisory Committees. GMGMA works closely with MAG, who has a lobbyist working closely with the lawmakers on the state level. A MAG representative is invited to attend all GMGMA meetings. GMGMA is a state affiliate of MGMA (Medical Group Management Association). 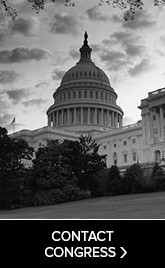 MGMA has a full-time lobbyist working closely with the lawmakers on the national level. GMGMA works closely with MGMA and invites a MGMA representative to all Conferences. If you have a question you would like to ask personally of the MAG or MGMA representative you may do so at any meeting, or you may contact the GMGMA Executive Coordinator for contact information. PROFESSIONAL ENROLLMENT - GMGMA's mission is to expand the professional education and growth of its membership. Annual Professional enrichment awards support our members' educational goals. The GMGMA Distinguished Service Award is presented to a deserving member annually and is sponsored by MAG Mutual Insurance. For additional information, contact gmgma@gmgma.com. We look forward to having you join the growing number of professionals who are members of the Georgia Medical Group Management Association!